Disclaimer: Jenny kindly provided me with a copy of this book for review purposes but my review is totally unbiased. This review is for the audiobook version but it is also available in print and eBook format. As a fan of the 13 O'Clock podcast, which Jenny and her partner Tom (one of the people who experienced the titular poltergeist) co-host, I was intrigued to check out one of her books and I'm very glad that I did. It was strange hearing Jenny speak in a more "formal" way rather than the casual and chatty way that the podcast is presented but soon grew accustomed to the new style. Both her writing and her delivery is pacey and to the point without any unnecessary, over-descriptive sections that, for me, can get in the way of a good story. Speaking of which, this particular story is the true tale of a short holiday to a mountain resort and the weird activities that happen to an extended family whilst they are there. The experiences start pretty much as soon as they step foot through the door with a series of small events that they each try and write off with very plausible, rational explanations but after the first few days so much has happened that they cannot deny that something paranormal is afoot. Once the family accept it and start looking out for things, the activity increases in frequency and strength. I'd love to see a filmed version of this story, maybe as one of the many dramatised paranormal series that Travel Channel / Destination America crank out constantly. 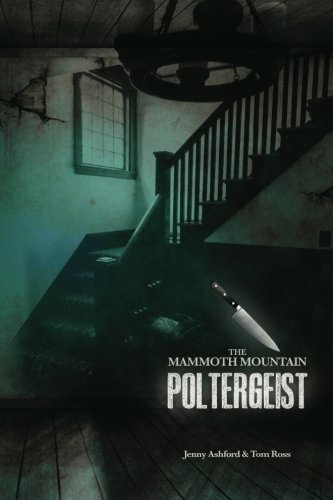 The last few chapters are an analysis of the events with comparisons to other poltergeist cases, including a chapter from a sceptical perspective. The audiobook also has a special bonus episode not included in the print versions which details events that happened since the book was originally completed.